Reporting and writing are the central disciplines of journalism. 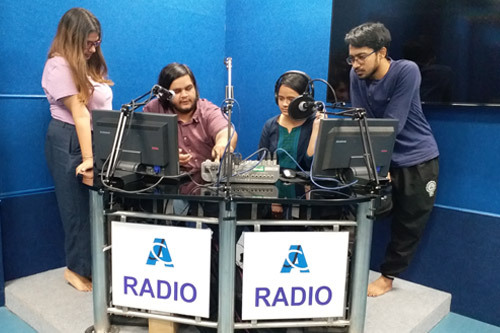 Accordingly, the core of the ACJ curriculum in the first term is an extensive series of lectures and workshops on gathering and presenting news. Through laboratory exercises and outside assignments, students learn to seek out information and convey it in journalistic form. This experience helps them develop the variety of skills indispensable to all branches of journalism; in particular, the ability to write clear, straightforward, and concise English. 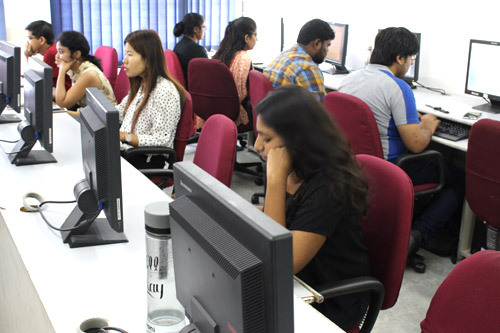 In similar lectures and workshops, students learn to edit news copy and to write headlines for various media. With cross platform and multimedia journalism gaining currency, students across all streams are exposed to the fundamentals of storytelling for the web, including an introduction to some of the state-of-the-art tools and applications, recording and producing audio and video, search engine optimisation and photo journalism. During this term, all students are required to attend a series of substantive lectures, designed to introduce them to the history of the media, to the legal and other aspects of professional journalism, and to many of the critical economic, political, social, and environmental issues of our times. These lectures, offered by outstanding scholars and media practitioners, reflect a central conviction of the Trustees: that journalists, especially in Asian countries today, have an important role to play in increasing public understanding of the fundamental and often complex problems of our societies, avoiding the traps of superficiality and dilettantism. Critical analysis of the existing news media is another important element of the curriculum in the first term. This exercise helps future journalists become aware that the way in which an event is viewed and reported depends to a great extent on the imperatives of the medium in question and on restrictions imposed by shifting outside influences. There are five required courses in the first term: Reporting, Writing and Editing; Tools of the Modern Journalist; Key Issues in Journalism; Media Perspectives; and The Media, Law and Society. Students take one or two of the three mandatory electives during this term. In the third term, students further enhance and hone their skills in their streams of specialisation. They also continue to take elective courses. Much of this final term is devoted to two major pieces of work required of all students — the Investigative Report and the Dissertation. 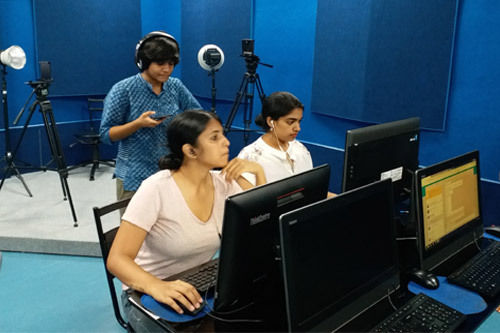 The Asian College of Journalism has set up a state-of-the-art Integrated Digital Newsroom in its Chennai campus. The Integrated Newsroom will be used to impart hands-on training to journalism students across streams to produce and disseminate interactive, multimedia content on web and mobile platforms. 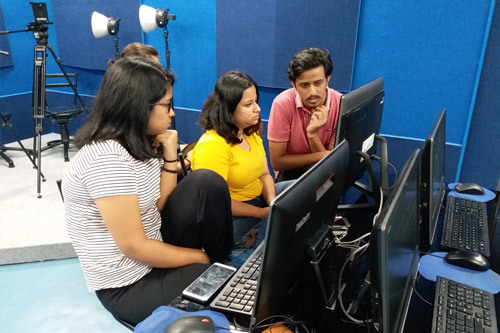 Unlike a computer laboratory or a classroom, the Integrated Newsroom has an open, non-hierarchical environment in which students collaborate and deliver fresh, relevant and meaningful content tailored for multiple digital platforms. The student will be trained in a newsroom environment to handle text, photographs, audio, video and interactive multimedia elements such as infographs, timelines, maps, charts, slideshows and web graphics which will be used judiciously for news storytelling. 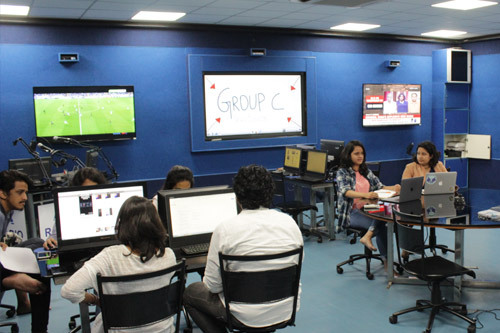 The Integrated Newsroom is equipped with two video bays and one audio bay, besides 16 modern workstations, equipped with a wide range of software tools and applications necessary for producing multimedia content. Students and faculty supervisors get to use an interactive digital board for teaching, for exhibiting student work – either while in progress or on completion – for suggestions and critical feedback, for news listing and assigning work, and also for holding interviews in distant mode using applications such as Skype and Google Hangout.